Get funky with one of these experimental brews, which highlight unusual beer ingredients (oysters, doughnuts) for a surprising but satisfying sip. Jazzing up beer&rsquo;s usual lineup of hops, malt, yeast and water, breweries are infusing their suds with weird beer ingredients, from desserts (doughnuts) to raw seafood (oysters) to peculiarities (tomb microbes?). 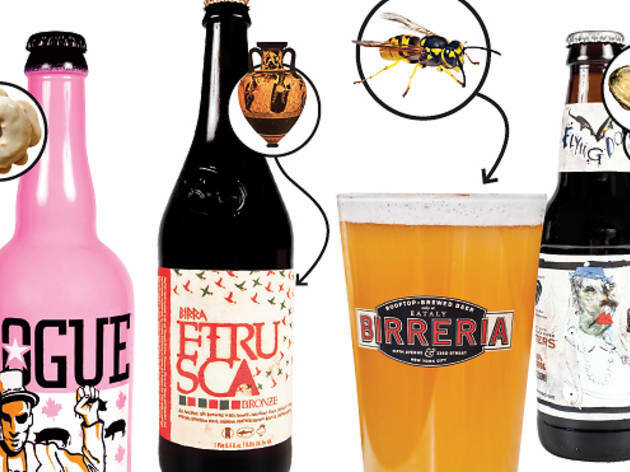 We&rsquo;ve picked the best beer with wacky elements that curious quaffers need to try now. 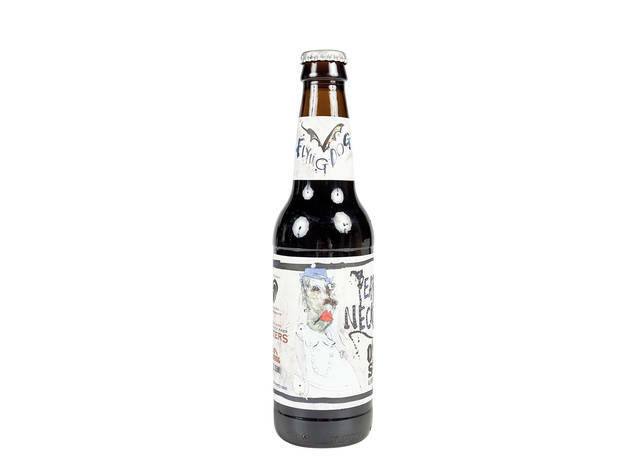 Photograph: Noffar GatThe brew: Flying Dog Pearl Necklace oyster stoutThe twist: Raw oystersThe story: To boost local bivalves, Maryland&rsquo;s Flying Dog devised a low-key marketing scheme with an offbeat bent: Drink them. For this seafaring, medium-bodied stout, brewmaster Matt Brophy amps the natural salinity of Rappahannock River oysters by adding sea salt into the beer kettle. Don&rsquo;t expect Clamato: The mollusks add a brackish undercurrent that rounds out the roasty, chocolaty flavors of the dark pour. Fittingly, it makes a fine pairing with its star ingredient: Sip the inky stout and then slurp a fresh oyster&mdash;the seafood accentuates the stout&rsquo;s briny nuance, while the beer draws out the oyster&rsquo;s natural sweetness. Available at Good Beer, 422 E 9th St between First Ave and Ave A (212-677-4836, goodbeernyc.com). 12oz bottle $2.09. Photograph: Noffar GatThe brew: SingleCut Beersmiths J&aring;n Olympic White Lagrrr!The twist: Matzo meal and Szechuan peppercornsThe story: When tasked with creating a beer to commemorate the mash-up cultural tradition of a Jewish Christmas at Chinese restaurants, brewer Rich Buceta of SingleCut, a Queens newcomer, dug deep into cultural pantries. From the Far East spice rack, fragrant Szechuan peppercorns add piquancy to the smooth, soft lager. 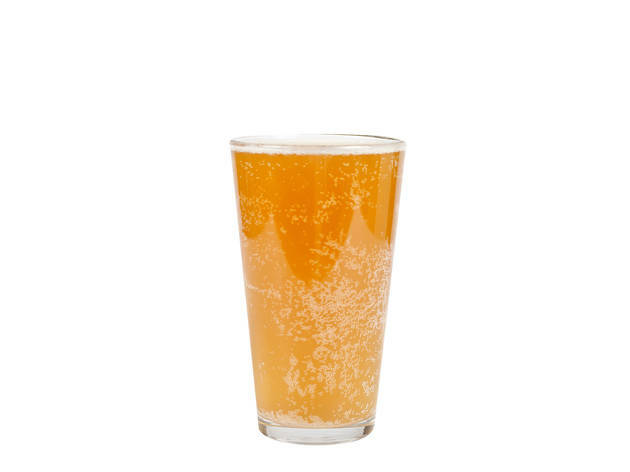 Matzo meal, repping the Hebrew cupboard, provides a hazy hue and a lasting, creamy head, making the pint as pretty to look at is it is to drink. Though initially a one-off, the floral, aromatic lager proved a hit, and it&rsquo;s now part of SingleCut&rsquo;s year-round roster. Available at Against the Grain, 620 E 6th St between Aves B and C (212-358-7065). 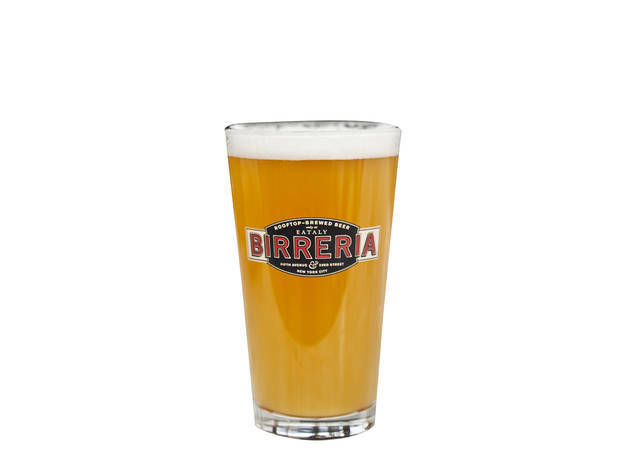 Draft pint $7. 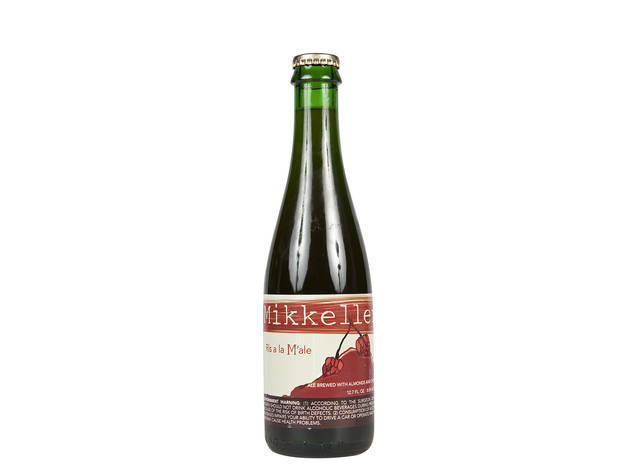 Photograph: Jessica LinThe brew: Mikkeller Ris a la M&rsquo;aleThe twist: Danish holiday dessertThe story: Cool-kid gypsy brewer Mikkel Borg Bjergs&oslash; travels around the world to brew his beers, but he looked to his homeland of Denmark for this dessert-inspired ale. The traditional Christmas rice pudding ris al&rsquo;amande&mdash;a cold, dreamy concoction with almonds, whipped cream and cherry sauce&mdash;is the playful reference point for this pink-tinged fruit beer. Bjergs&oslash; mimics the treat&rsquo;s milky sweetness with lactose (a dairy-derived sugar), while almond extract, subbing for the chopped nuts, lends an amaretto-like fragrance. The cherry base provides a tart backbone to the rich, creamy Ris a la M&rsquo;ale, which, like its namesake, is best savored at the close of a meal. 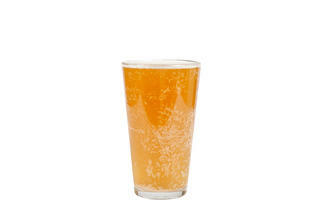 The seasonal beer may be out of stock in most stores, but expect its return next yuletide season. Available at New Beer Distributors, 167 Chrystie St between Delancey and Rivington Sts (212-260-4360, newbeerdistributors.com). 12.7oz bottle $8.25. Photograph: Jessica LinThe brew: Wells &amp; Young&rsquo;s Brewing Company Banana Bread beerThe twist: Breakfast fruit breadThe story: Beer is often referred to as liquid bread, a concept puckishly tweaked by this august British brewery&mdash;it also makes the luscious Young&rsquo;s Double Chocolate Stout. 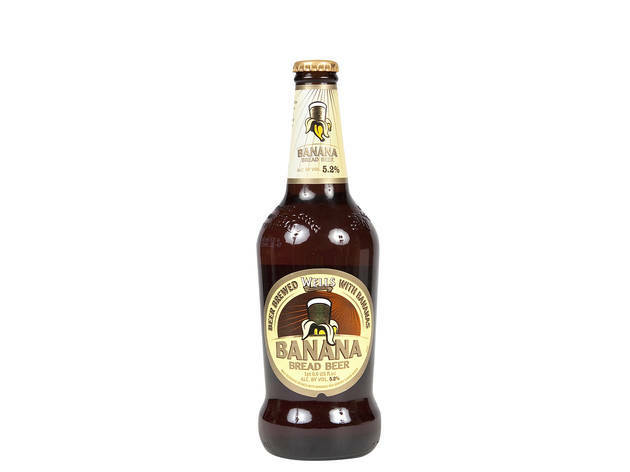 Instead of mucking up their handiwork with cloying artificial flavoring, the dessert-minded brewers add ripe Fair Trade bananas to the light, copper-gold ale. True to its name, the medley conjures the breakfast treat in a glass: The fruit lends a delicate Chiquita nose to the silk-smooth, refreshingly dry quaff, and the nutty, toffee notes of malt are reminiscent of the quick bread&rsquo;s mix-ins. 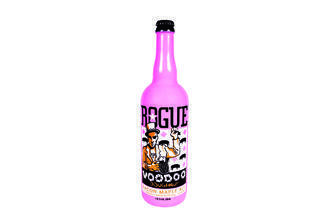 Available at the Whole Foods Bowery Beer Room, 95 E Houston St between Bowery and Chrystie Sts (212-420-1320). 16.9oz bottle $5.99. Photograph: Noffar GatThe brew: Birrificio Le Baladin Al-iksirThe twist: Scottish whiskey yeastThe story: The craft craze for beer fermented with scotch whiskey yeast&mdash;launched in part by Chicago&rsquo;s Goose Island in the nineties&mdash;shows no signs of slowing down, and Italy&rsquo;s wildly creative Le Baladin turns the faddish trend inside out with this sly wink. Instead of the standard spirits-soaked oak cask, brewer Matterino &ldquo;Teo&rdquo; Musso uses Scottish whiskey yeasts harvested from the island of Islay to ferment this malty, Belgian-style strong ale. The whiskey yeasts drive a drier, more carbonated profile, which pays delicious dividends with the potent, belly-warming Al-iksir. Fragrant with tropical fruits, toffee and caramel, the robust slug brandishes an intense effervescence that cleans away any sweetness on the finish. Available at Eataly, 200 Fifth Ave between 23rd and 24th Sts (212-229-2560). 25.4oz bottle $17.80. Photograph: Noffar GatThe brew: Bayerischer Bahnhof Leipziger GoseThe twist: SaltThe story: Salt may strike some as a novel beer ingredient, but the seasoning has been used for centuries to sharpen the flavor of indigenous German wheat beer, gose (pronounced goes-uh). After falling out of popularity in the 20th century, gose made its return in the last decade, thanks to Bayerischer Bahnhof. It&rsquo;s fitting that the outfit carries the salt-beer banner: Established in 1999, it&rsquo;s located in a historic train station in the onetime capital of gose production, Leipzig. Its signature pour, the light, bready Leipziger Gose, has a tart, lemony complexity thanks to coriander and a souring bacteria, while the finish shows lip-smacking salinity. 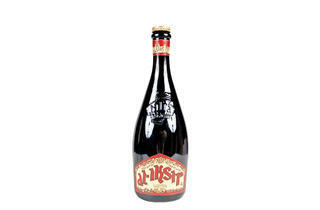 Available at the Whole Foods Bowery Beer Room, 95 E Houston St between Bowery and Chrystie Sts (212-420-1320). 11.2oz bottle $5.99. Photograph: Stéphane DaoustThe brew: Le Trou du Diable Dulcis SuccubusThe twist: Noble rotThe story: In recent years, daring Le Trou du Diable has put Quebec on the map of cutting-edge beer production with foolhardy, genre-blurring experiments, such as the Dulcis Succubus made with yeasts that are typically devastating to both beer and wine. For the Dulcis Succubus, brewmaster Andr&eacute; Trudel first doses a rustic, farmhouse-style saison with the wild yeast Brettanomyces. Then, he doubles down on the funk with botrytis (aka &ldquo;noble rot&rdquo;), a fungus prized for producing smooth, sweet vino. Inside wooden barrels that once contained Dolce&mdash;a dessert wine made from botrytis-infected grapes&mdash;the beer ages for six months. The resulting fizzy sipper&mdash;best poured in a wine glass&mdash;is earthy and floral, with sweet fruitiness and appealing notes of oak. Keep an eye out for it when it hits New York City shelves in March. Photograph: Noffar GatThe brew: Rogue Voodoo Doughnut Bacon Maple aleThe twist: Sweet porky doughnutsThe story: Beloved Oregon bakery Voodoo Doughnut gained a rabid following for its madcap confections, covered with wacky toppings and cheekily named (see: the Triple Chocolate Penetration, slathered with dark frosting and Cocoa Puffs). Their cult favorite, Bacon Maple Bar, gets a sudsy tribute from Oregon&rsquo;s adventurous Rogue Ales &amp; Spirits, who dialed up the main flavors of smoked malt, maple and applewood-cured bacon. Slightly sweet and assertively smoky, the Rauch-style ale would be an excellent companion for brunchtime maple-drizzled pancakes and sausage. Available at Brooklyn Beer &amp; Soda, 507 Flatbush Ave at Lefferts Ave, Prospect-Lefferts Gardens, Brooklyn, (718-622-8800, bkbeerandsoda.com). 9.4oz bottle $16.99. Photograph: Noffar GatThe brew: Dogfish Head Birra Etrusca BronzeThe twist: Etruscan tomb microbesThe story: In 1999, Dogfish Head founder Sam Calagione teamed up with ancient-beverage expert Dr. Patrick McGovern&mdash;a scientific director at the University of Pennsylvania Museum of Archaeology and Anthropology&mdash;to breathe new life into bygone quaffs with the Ancient Ales series. 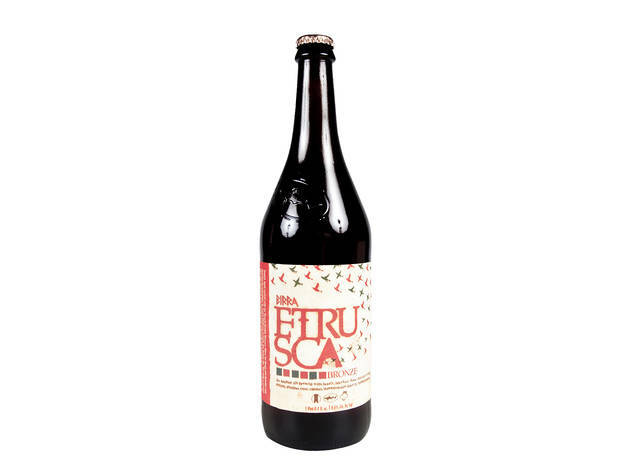 The brewery&rsquo;s latest time-machine creation, Birra Etrusca, takes its cues from molecular evidence of drinking vessels salvaged from 2,800-year-old Etruscan tombs in Italy. Thanks to sarsaparilla-like Ethiopian myrrh resin, the elixir recalls root beer, brightened by tart pomegranates and bitter gentian root. A trio of honeys (Italian chestnut, wildflower and clover) balance out the heady concoction with floral sweetness. 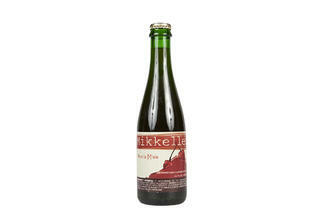 Available at Whole Foods Bowery Beer Room, 95 E Houston at Bowery (212-420-1320). 25oz bottle $14.99. Photograph: Virginia RollisonThe brew: Birreria CalabronaThe twist: Yeast from a hornet&rsquo;s stomachThe story: In 2012, Italian scientists discovered that hornets store grape-skin yeast in their stomach during winter&mdash;a fungus capable of fermenting wine, bread and beer. 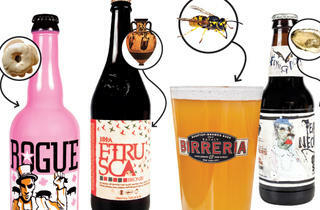 This scientific finding laid the framework for Birreria&rsquo;s Vespa Project, a series of beers brewed using hornet yeast. 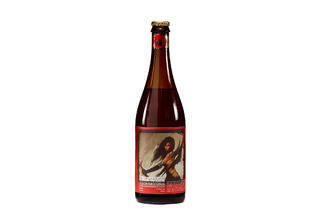 In December, Birreria&rsquo;s Rome outpost released the first in the series, the honey-driven Maia. And this month, the NYC sibling will debut its own tribute to the beehive and vineyard: Calabrona&mdash;the Italian word for &ldquo;hornet.&rdquo; The Belgian-style witbier incorporates pomegranate molasses and myrrh resin before getting cask conditioned for carbonation. 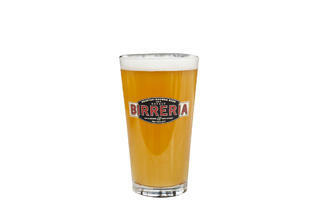 Available at La Birreria, 200 Fifth Ave at 23rd St (212-937-8910, eataly.com/birreria). 16oz bottle $10. Joshua M. Bernstein is the editor of the recently released iPhone app Craft Beer New York.